While colored pencils are one of the most popular mediums in the world today, they are also notoriously tough to master. Their waxy or oily consistency is extremely hard to manipulate, even if you are using them on a top-rated paper that was designed specifically for colored pencils. As you will see in just a minute, when executing even just a few of these colored pencil techniques correctly, your colored pencil drawing can spring to life. The goal of today’s article is to teach you 10 very different colored pencil techniques – many of which are favored by pros. Starting off small here, hatching is a shared technique used in many different applications including ink, graphite, charcoal, and of course colored pencil drawings. Hatching is simply the process of drawing many straight lines in parallel close together on your paper. 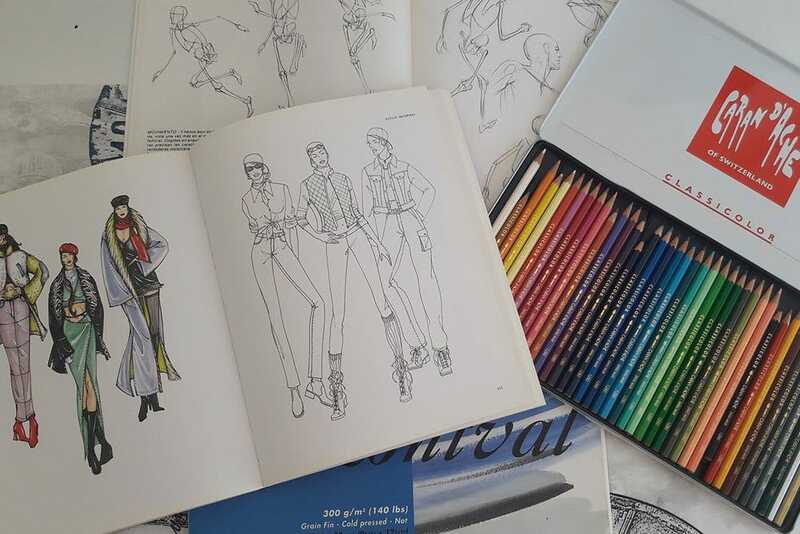 While this may not sound like much – when it comes to colored pencil application, it’s a fairly effective way to color block with a minimalist approach. As you can see the artist, Koosje Koene, uses only two simple colors and hatching (and a little cross hatching) to add depth to her shoes – good stuff here. Furthermore, hatch practicing is also a great way to build up your confidence as an artist in your stroke work. If you find that you only ever draw lines in short little strokes, practicing long form hatching on a large 9” x 12” paper will build your confidence in drawing longer lines in your artwork. A variant on hatching will be cross hatching. As the name infers, this is simply the process of drawing two sets of parallel lines over each other to form a grid. This is a great way to create tonal or shading effects in your artwork without the need for blending. 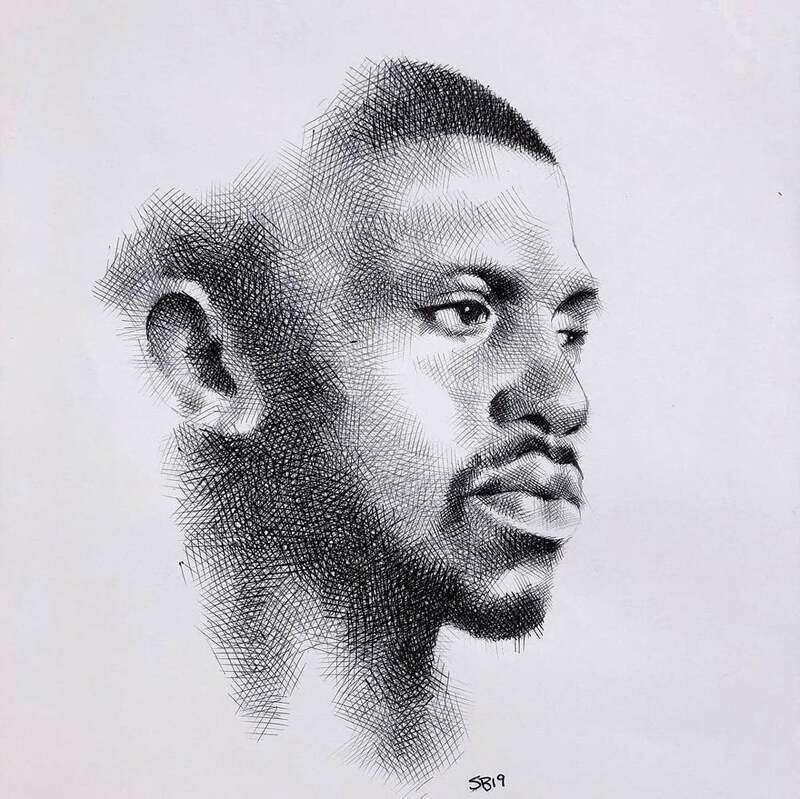 If you are doing a speed drawing, or simply want to get effective results rather quickly – cross hatching is a great technique that can be used for many different mediums. While it may sound complicated, burnishing is simply the act of polishing a layer of colored pencils through the use of a colorless blender. Depending on the type of colored pencils that you own – you will want to get a colorless blender from that same brand. This ensures that the wax or oil core in the colorless blender exactly matches the same composition as the colored pencils (note: colorless blenders are simply a colored pencil without any pigment). This will provide much better results when burnishing. A simple technique that you too can do in your next colored pencil drawing! Pretty self-explanatory, stroke pressure can create a variety of effects in your colored pencil drawing without the need of learning a new method or buying any additional products. 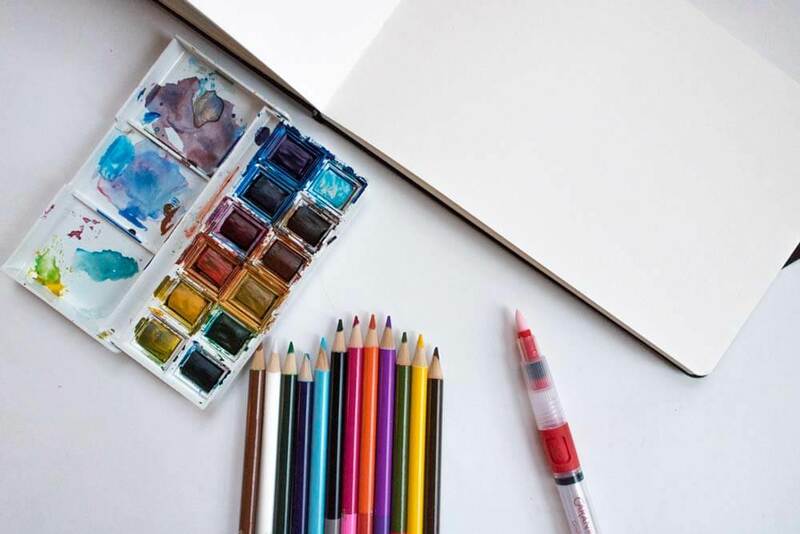 Should you have woodless colored pencils or even one that has a 3.8mm tip, simply tilting the colored pencil slightly can give you either broad stokes or fine lines (of course having one of the best sharpeners for colored pencils will be essential here). We recommend that you get yourself a cheap pad of drawing paper (something like the Canson Mixed Media XL) and play around with this. You might be surprised in how much a colored pencil’s stroke can change simply by moving your wrist and pencil in slightly different direction. Through use of an X-ACTO knife or other sharp blade, the scraping technique is the perfect way to create extremely thin lines that lets the color of your paper to come through to the surface. Whether you are drawing leaves, hair, grass, etc. this method creates a level of detail that is quite remarkable. 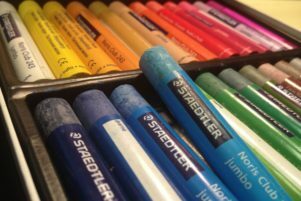 Of course, toned and colored sheets will create slightly different effects – so if you plan on using this technique in your next colored pencil drawing, take a minute to think about paper selection before starting. Incising is very closely related to the scraping technique we just covered. Rather than scraping out bits of your colored pencil drawing after it has been made, incising is the act of creating deeper valleys in your paper before you draw with your colored pencils. Simply get a piece of wax, parchment paper, or even palette paper and press down hard with a more rigid pencil (think graphite). This will cause the paper that you plan on using with your colored pencils to have lines indented into the surface (thicker paper works better here). When you go to draw a light color pencil sketch on the surface, it will simply go over these valleys and leave a white line (or whatever color your paper may be). 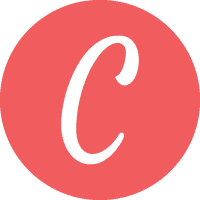 When compared to scraping, this option is much tougher to execute as it will require all the details in your piece to be mapped out prior to drawing. Rubbing is a variant of the incising technique and is a great method to developing a texture across the entire piece of paper. Simply lay a bumpy or textured layer underneath a thinner piece of drawing paper (thicker papers may be too thick to draw up the texture), and simply put down a light wash with your colored pencils. One of the really cool parts of colored pencils is that you can use solvents to create effortless blends. However, you must be careful here – using the wrong solvent can spell disaster for your drawing. In order to use solvents the right way, you must know the type of colored pencil you are using. In most cases, colored pencils use wax-based cores (i.e. Prismacolor, Derwent, Caran d’Ache, etc.) – therefore you will want to use either liquid paraffin (mineral oil) or xylene – as these are both solvents will dissolve the waxy binder. On the other hand, those artists who are using oil-based colored pencils like the Faber-Castell Polychromos or LYRA Polycolor’s – you will need to use a different type of solvent. 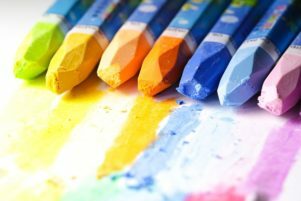 Just as you would when working with oil paints or oil pastels, the best solvent to use here will be artist grade odorless mineral spirits or turpentine. 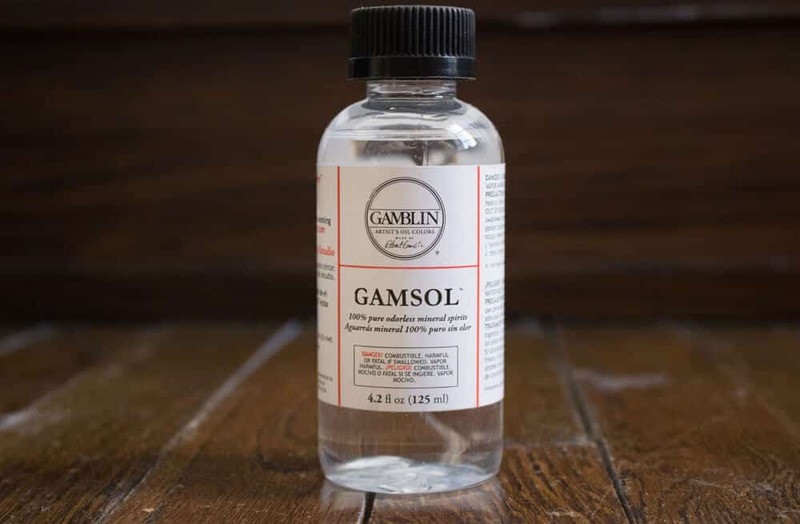 By simply dipping your brush in one of these solvents and applying it to your drawing, the colors will effortlessly blend together – an effective way to get quick and clean blends. Primarily used for graphite and charcoal drawings, tortillon’s (also referred to blending stumps), are a perfect tool to physically push the colored pencil media around the surface to your preference. Whether you are using either an oil or wax based colored pencil, this essential artist tool is a great way to get much smoother blends between colors. So, if you find that the colors you put down on the paper just don’t seem to really “mesh” that well together, simply rubbing them with a blending stump may be more than enough to get the results that you are looking for. The last technique on our list is going to be through using mixed media with your colored pencils (i.e. watercolors). 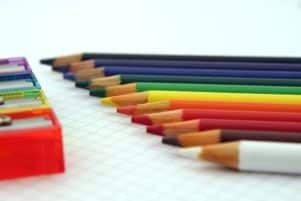 As we mentioned earlier, colored pencils are simply either wax or oil mixed with pigment. As any 4th grader who paid attention in science class can tell you, oil and water doesn’t mix that well together. With that being said, some artists like to put down a few colored pencil strokes on a page first and then add a wash from their watercolors. This allows the oil/wax to separate from the watercolors and create interesting details not normally found in most colored pencil drawings. As is the case when learning any new medium technique – practice is key. If you find that any of the techniques you tried above simply don’t look that great – especially compared to some of the examples we provided from artists – remember that they have been practicing it for hours before sharing it with the world (they didn’t get that good the first time by simply turning on the camera and recording). No matter the method or technique that you try, stick with it, experiment with it, and try to create your own personal techniques that you like. But most importantly, don’t forget to always have fun when making art!